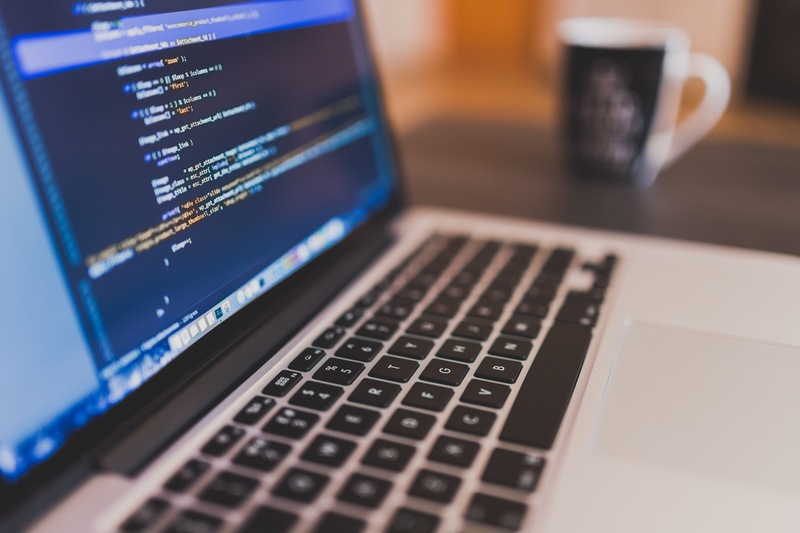 You can use plugins provided by others, or write your own custom plugins. 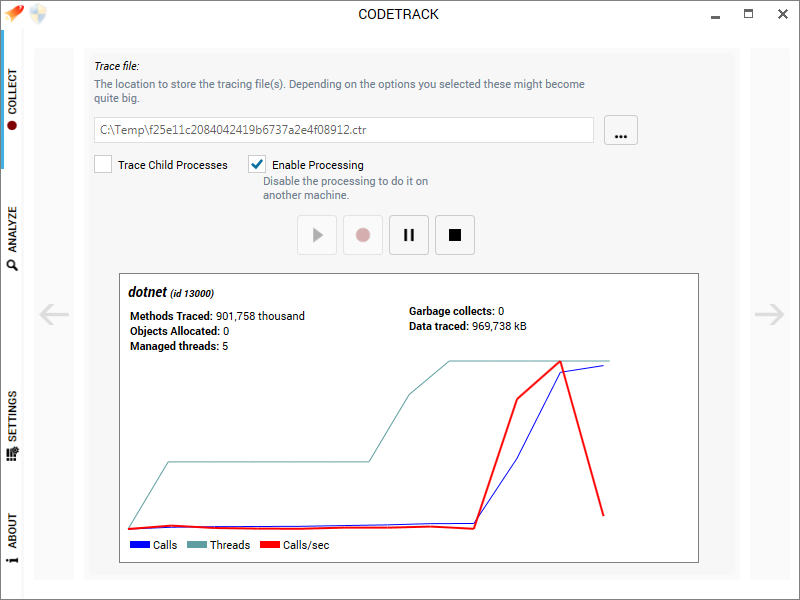 Generic plugin: Browse all Deeptraced method calls. 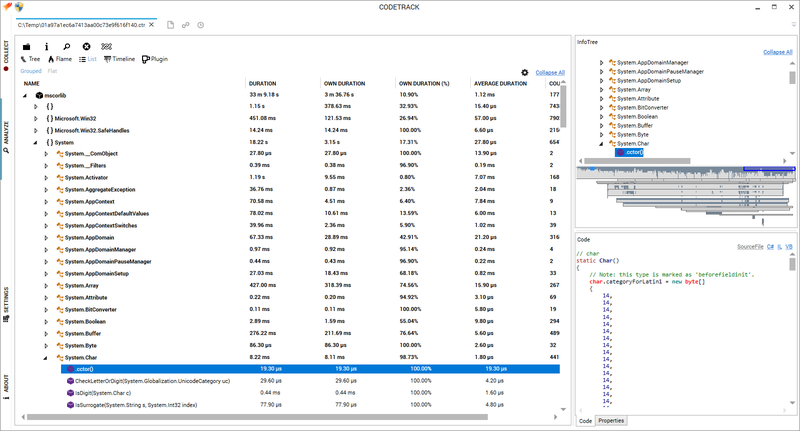 Console plugin: Trace all console output and use this to navigate around your trace. Thank you for this cool app! I have used this to make my code save lots of time. It is amazing how this little things add up. 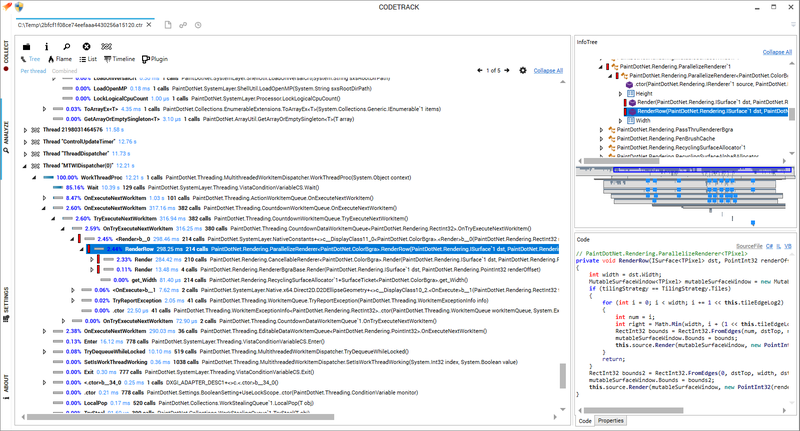 CodeTrack is a one-man project. 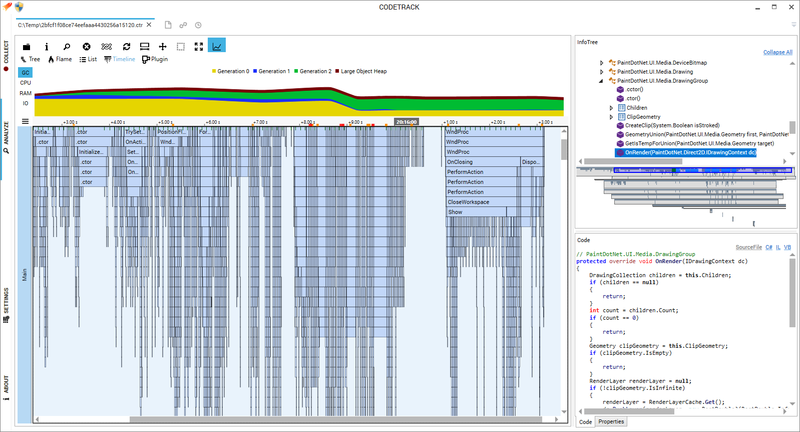 It started as a small spike out of curiosity towards the inner working of the .NET framework. As time went by, I started to sense maybe it would be worth to be used by other people. The basic functionalities are covered but there's a long list of cool and unique features still to come! If you have some issues or have a great idea for a neat feature, feel free to contact me. 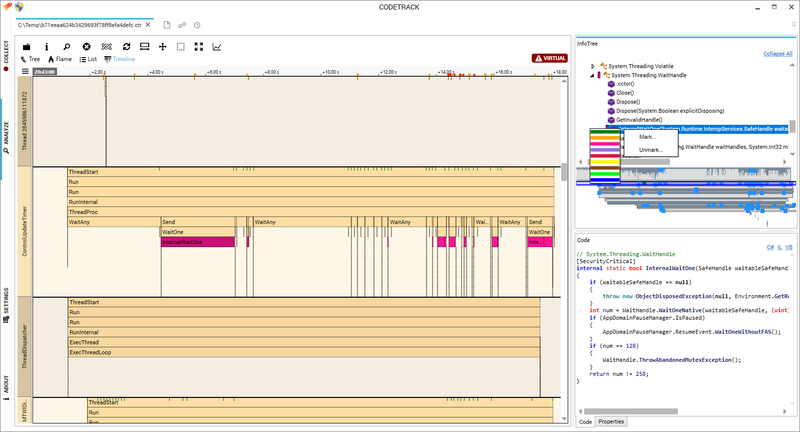 This profiler is just a hobby project which means it is being developed only in my spare time. I also have a real daytime job, and I love to spend some time with my wife and kids. Please keep that in mind when I don't immediately get back to you. 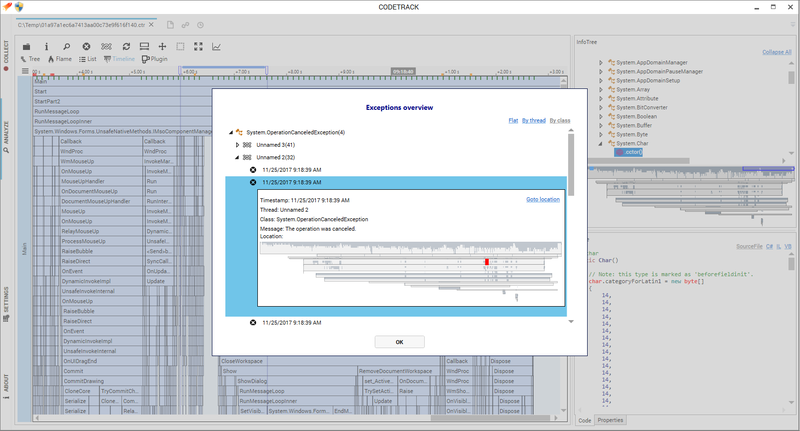 CodeTrack is free to use, as well for personal as commercial use. 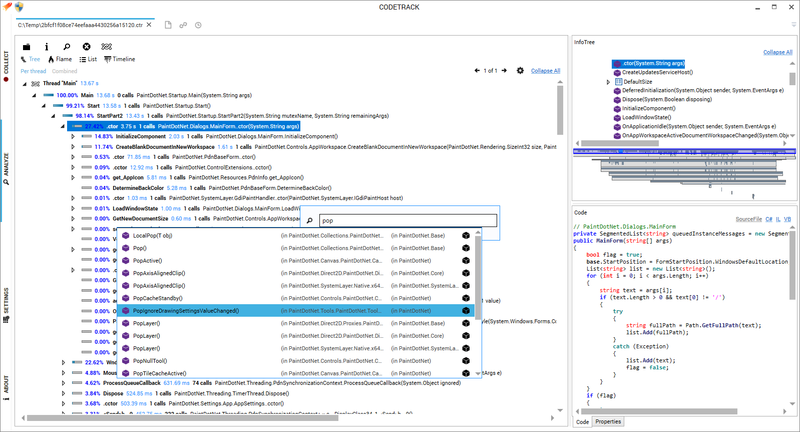 If you like CodeTrack: let me know, that will definately encourage me to go on with this project :-) Also, make sure to spread the word and share with your fellow developers: a tweet, like or share is greatly appreciated ! 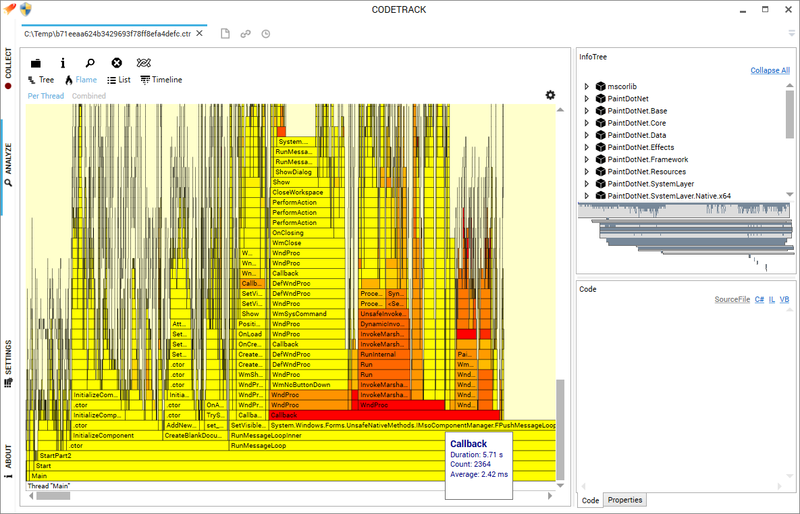 I hope that CodeTrack can help you in your daily life as a .NET developer as much as it does me ! 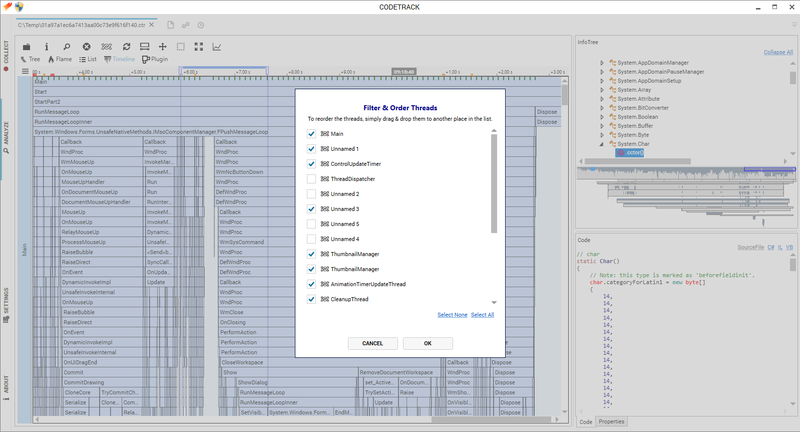 Creating CodeTrack is a challenging task and uses up quite a lot of my spare (and family) time. If you like to support me, you can do so by making a donation. 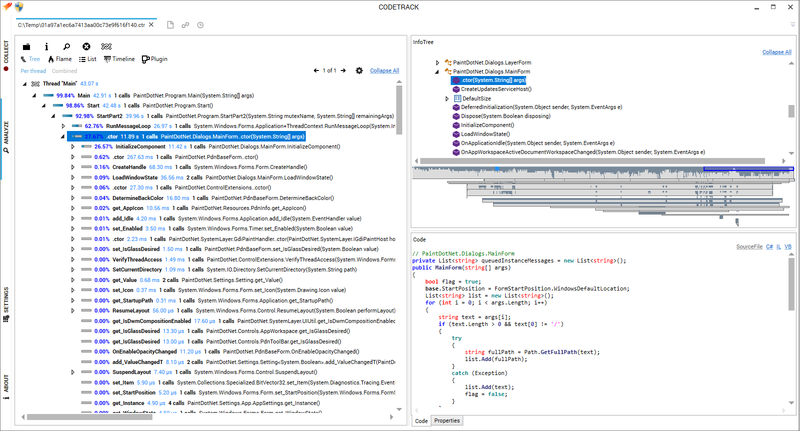 Follow codetrack and stay up to date about new features and reases. © Nico Van Goethem. All rights reserved.